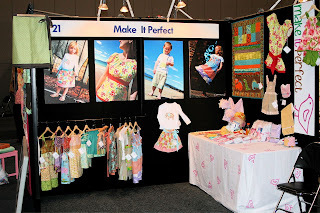 make it perfect: .Make It Perfect went to Market!. 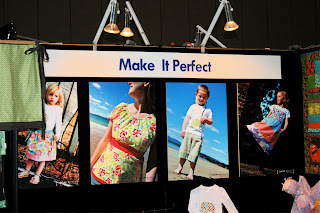 .Make It Perfect went to Market!. Well, we did it! 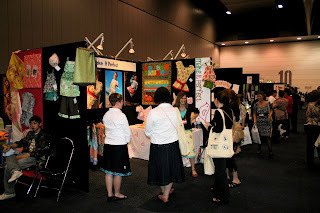 Australian Quilt Market in Melbourne was a great success and lots of fun. It was exhausting, exciting, nerve-racking, crazy and I am SO glad it is over! 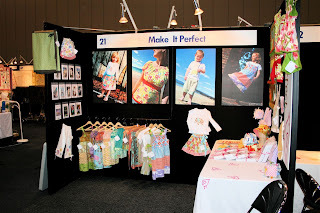 Everything went smoothly, my parcels arrived safe and sound via the courier, set up went well and I was really pleased with how my booth looked once we were done. We had four pattern cover images blown up to A1 size and printed onto foam core board to use as big posters along the back wall. They looked fantastic and really made the booth stand out. I couldn't have done it without Jaron and Selina. Their help and support was just what I needed and they both helped to make everything run to plan. It was great to get to meet lots of new people and also to connect with some of the store owners who currently stock Make It Perfect patterns and have some faces to put with names and voices over the phone! Also lots of fun to meet some of the people I have been stalking for awhile in the quilting industry...Rosalie and Melanie of Melly and Me, and their lovely parents. Natalie Ross In Stitches and Janelle Wind just to mention a few. 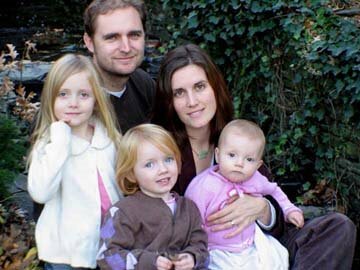 Helen from Hugs 'n Kisses has just started to distribute patterns for Jhoanna Monte Aranez and she has the CUTEST little doll pattern called the "Happy Chibi Dolls" - they are adorable and I can't wait to get my hands on a copy of the pattern to try them out for myself! I didn't meet Jhoanna but I love her style! 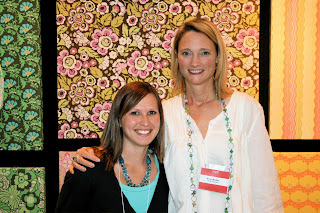 The highlight of the Market was being able to meet Miss Amy Butler herself in the FLESH! I have always loved everything Amy does, but after meeting with her and having a chat I love her even more! She is the sweetest, most sincere person and I even got her to sign a copy of my Little Stitches book! We were priveliged to be able to listen to her speak to us about her life, work and inspiration, it was great. Jaron hit it off with her husband Dave - he takes all of the photos for her books, patterns and website and is her right-hand man. He even gave us a copy of his band's CD so that he could tell his fellow band members that a copy of their album now exists in Tasmania! We haven't had a chance to listen to it yet...you can download it from iTunes if you want to have a listen. I meant to get some shots of me in the booth on my own and with Selina and Jaron, but it didn't happen - here is a bit of an action shot though! Jaron must have taken it sometime during the day!! Alright...I think that is enough links for one post! It was a great weekend and well worth all of the brain power and effort it took to get over there. Lots of post-market stuff to get stuck into this week, including filling orders, lots of pattern folding and updating the website. Your booth does look fabulous, it was definitely worth the effort!! Glad it was successful for you! It looks like it was a lot of fun. oh wow Tone - it looked awesome!! Very professional. How exciting for you. Congrats. I'm sure you will be extra busy now, with all the extra business you generated from it. CONGRATULATIONS!!!!!!! toni your booth looks great, i wished i was there to see it myself.. oh well it looks great anyway.. Your booth looks fantastic. Way to go Toni!!! wow...how exciting! it looked fantastic- well done. She is sooo tall. And the photos on boards look cool! Well done. ohhhh I am so excited! It turned out amazing Tone! Got a little thrill seeing all my photos BIG! Cooliedoolie! It was so fabulous to meet you at Market Toni!!! I hope it was a huge success and that you have filled all of those orders now so you can create!!! Hope we will catch up again one day and the best of luck with your amazing work! Well done Tones!! 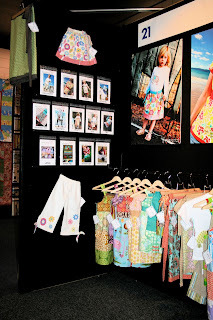 Your booth looked AWESOME...love the big pics. Chris and I were amazed at how tall Amy Butler is..haha! Love you. You're awesome!